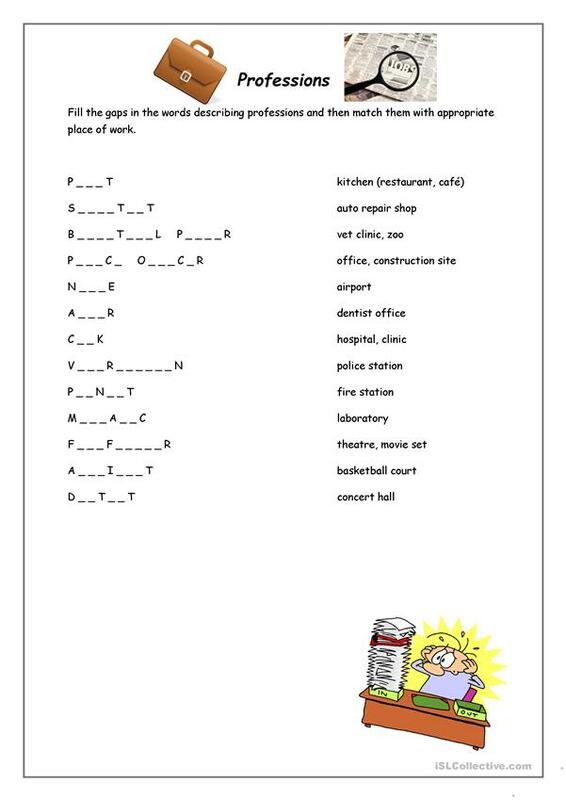 A short worksheet about professions. Students have to decode the names of the professions by filling in the gaps and then match them with the right workplace. This downloadable teaching material is meant for elementary school students at Elementary (A1) and Pre-intermediate (A2) level. It is a useful material for consolidating Nouns in English. It is about the topic and words of Jobs, work. Annakira is from/lives in Poland and has been a member of iSLCollective since 2016-03-10 14:10:31. Annakira last logged in on 2019-04-09 20:17:27, and has shared 2 resources on iSLCollective so far.